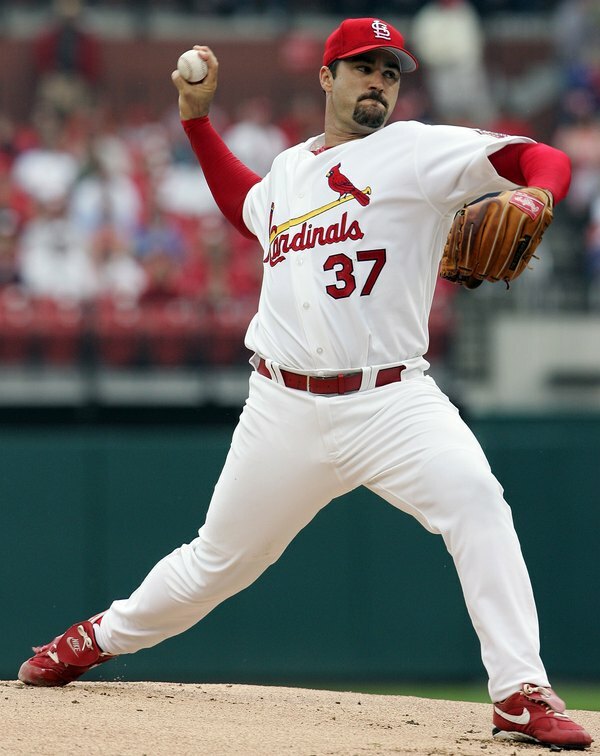 Jeff Suppan made his much anticipated start for the Cardinals last night. Anticipated? You bet. Most fans wondered what to expect from the veteran. We all remember Suppan's NLCS MVP winning performance in 2006. That performance netted him a hefty contract with Milwaukee. One that they would rather forget. The Brewers released him after regulating him the bullpen after some pretty bad starts. It was no surprise that the Cards would be interested in him either. With Brad Penny and Kyle Lohse on the DL and three rookies starting, the starting rotation needed another veteran presence. Suppan provided that. It was a win-win for both parties. Suppan prefers to start and the Cards know what he can do. Last night against the Mariners, Suppan made a slight adjustment in his delivery. He raised the ball and glove over his head. In other words, he stopped tipping his pitches. This is something we heard last year when John Smoltz joined the club after the Red Sox bid him adieu. The only mistake was delivered to Milton Bradley who hit the ball out of the park. 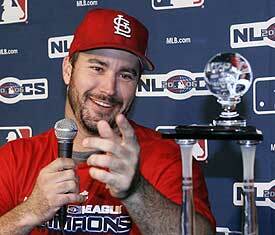 All in all, Cardinals fans can be both happy for Suppan's return and relieved. He's not as bad as his ERA says he is. He probably won't be the 2006 Suppan we loved but he'll be steady, reliable in the rotation. Dave Duncan will see to that. If it wasn't for Duncan I would ask what they are doing again with Suppan, but he can help the Cardinals and probably only the Cardinals.